" Dexster is definitely one software I will recommend you all: you'll surely find it quite handy when you want to produce good-sounding home audio, enrich your recordings, and even record a demo CD with your band and so on. Adding the awesome price of just $45, it's almost like stealing "
Cut, Copy, Delete, Paste, Trim, Enhance, Mix audio files in visual editing environment. 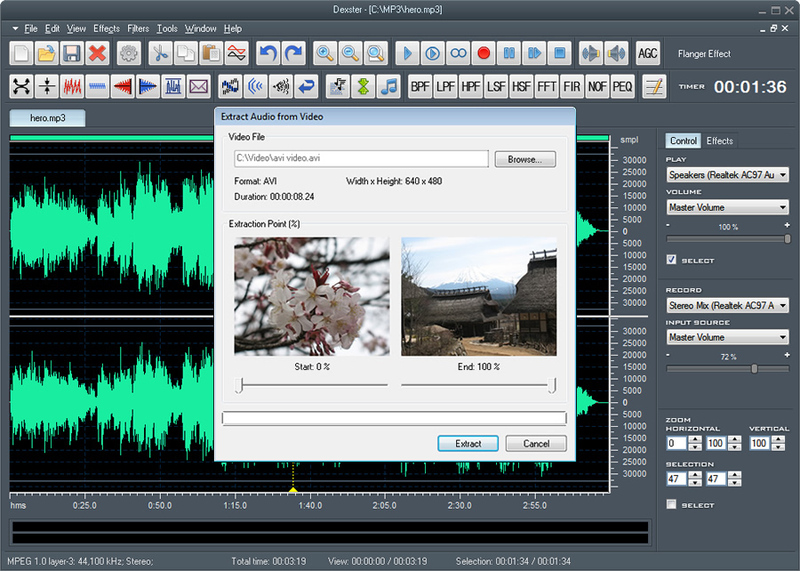 Support multiple audio files editing at the same time. Apply audio effects; Amplify, Compressor, Delay, Envelope, Equalizer, Expander, Fade, Flanger, Noise, Silence, Invert, Normalize, Phaser, Reverb, Reverse, Tempo, Vibrato, Chorus, Pitch, Distortion, VST, and DirectX. 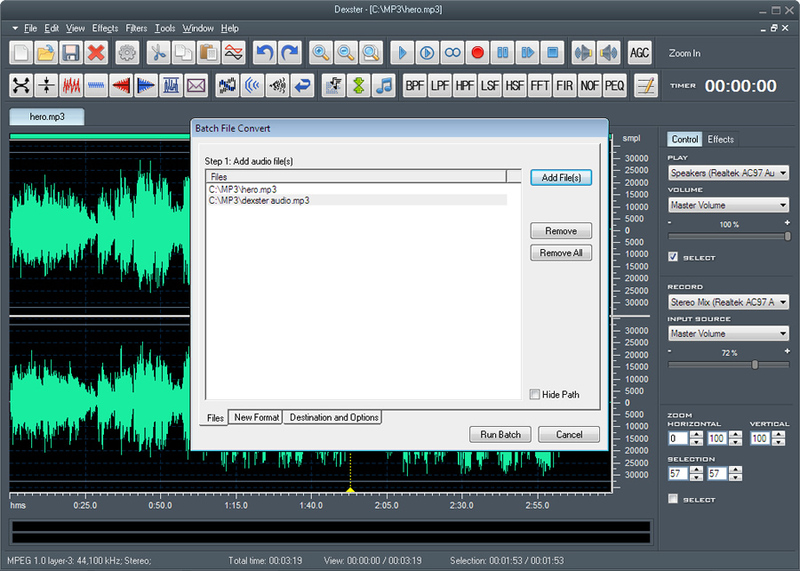 Batch audio conversion to convert audio format from one to another. Apply audio filters; Band Pass Filter, FFT Filter, High Pass Filter, High Shelf Filter, Low Pass Filter, Low Shelf Filter, Notch Filter, Peak EQ Filter, and FIR Filter. 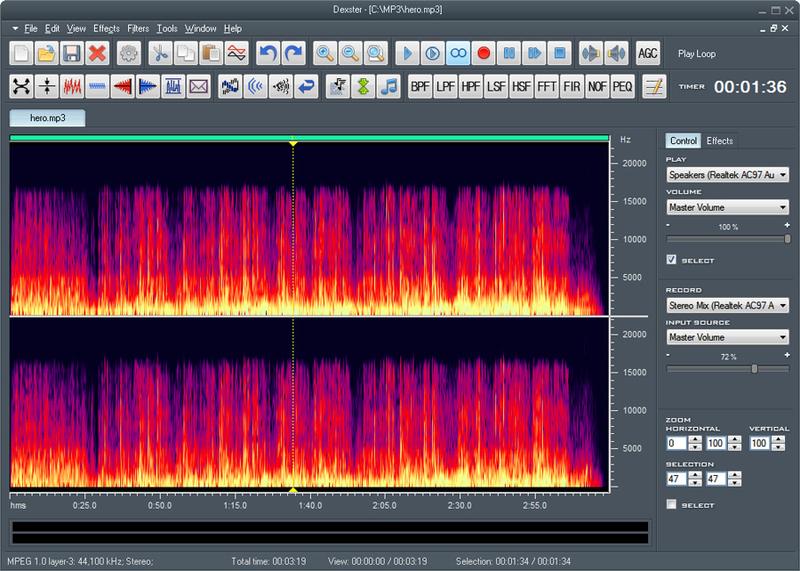 Reduce Vocals, Noise, Clicks and Pops from an audio file. 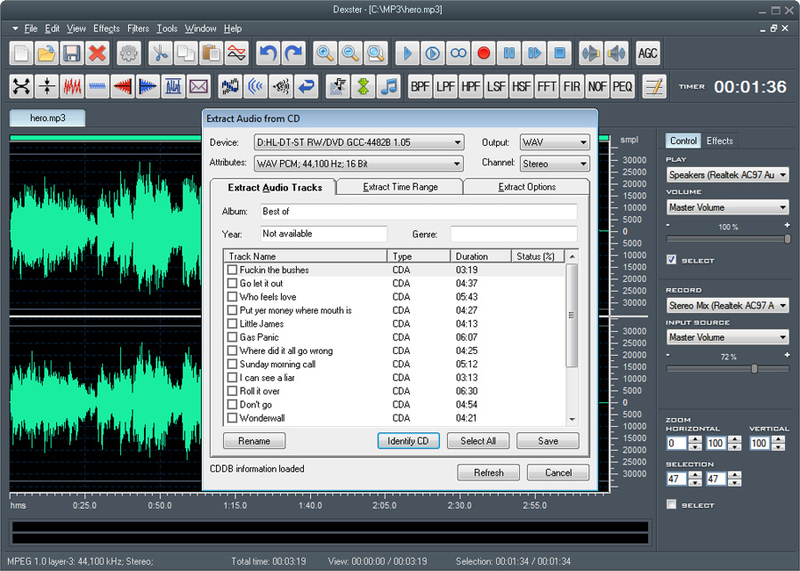 With so many features offered, Dexster Audio Editor provides the most complete solution for your audio editing task. 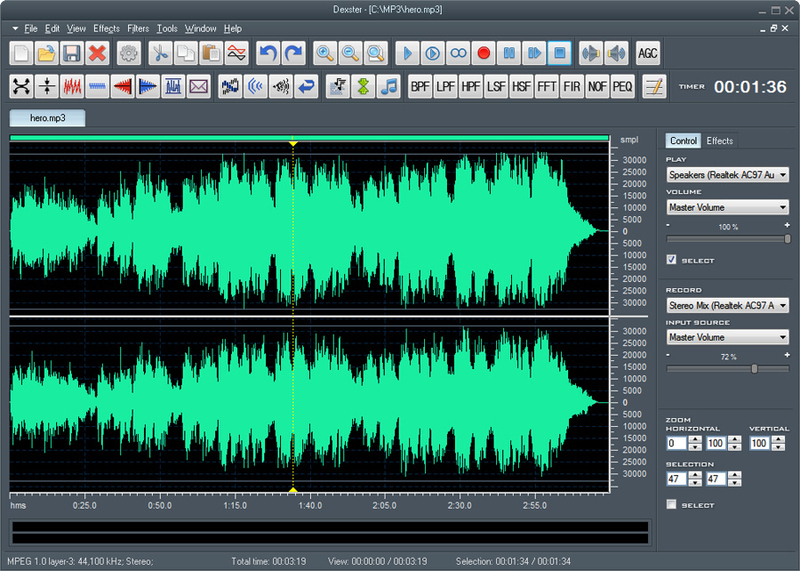 Record audio from various sources eg. Line-in, Microphone, Streaming, and others. 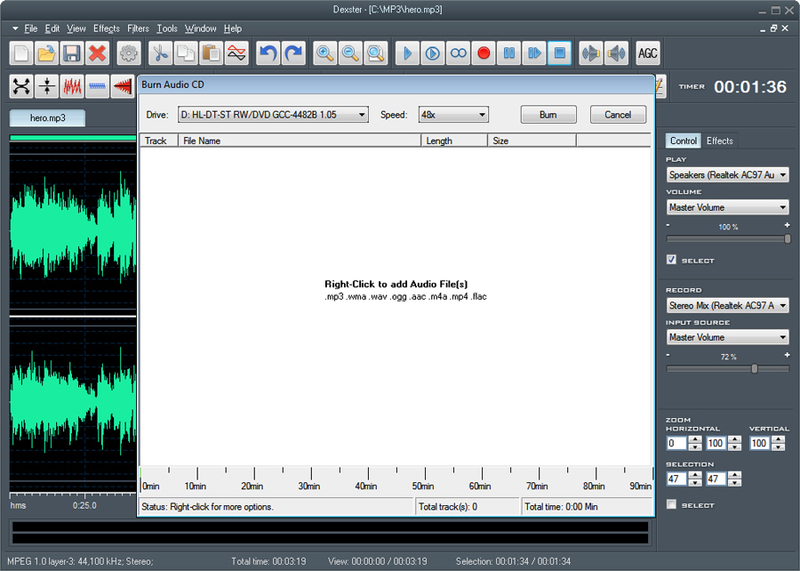 Combine several audio files as one or split a lenghty audio file into several files. 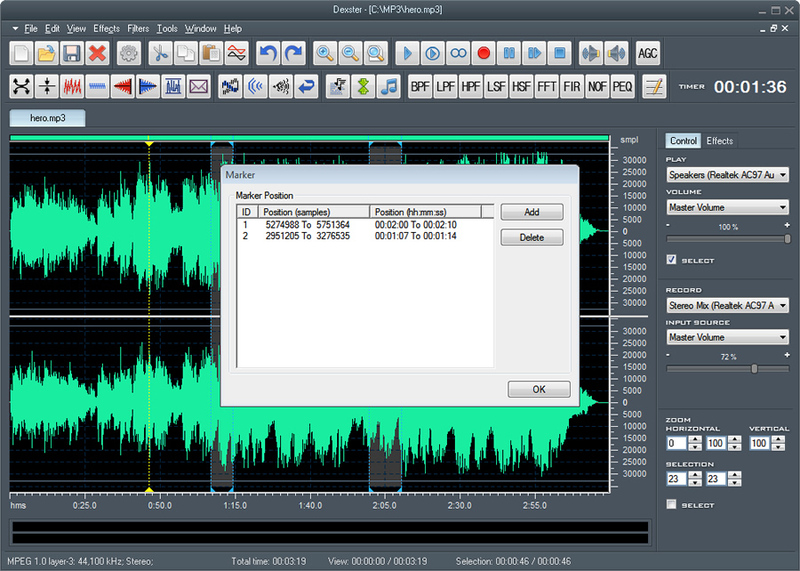 Import audio files and burn as Audio CD. Supports the most commonly used audio formats eg. MP3, M4A, AAC, OGG, WMA, AIFF, FLAC, WAV, Audio CD and many more. 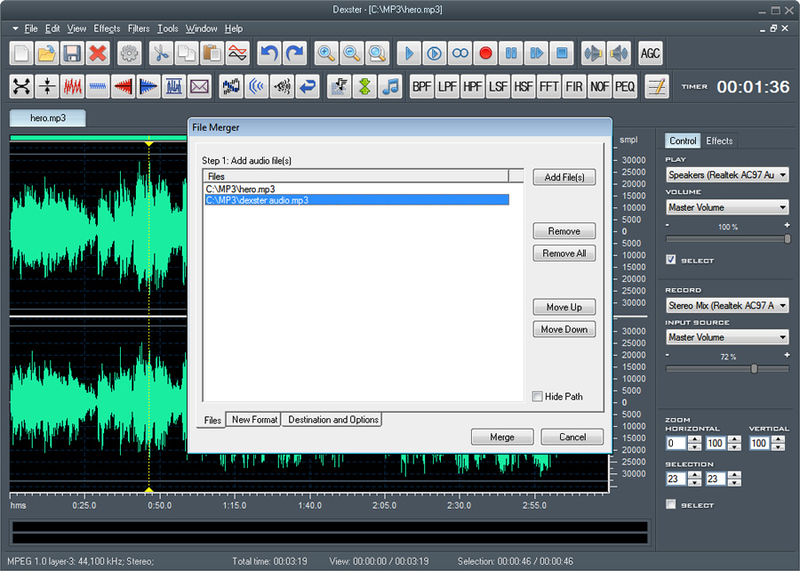 Audio Marker, Audio Protection, Audio Loop, Audio Tag Editor, Text to Speech, Audio Player, FTP Audio Files, and many more.